Firefighters more progressive in how we're using information to gear how we make our decisions within the community. TEMPE, AZ — When you think of essential firefighting tools, an iPad may not be top of mind. 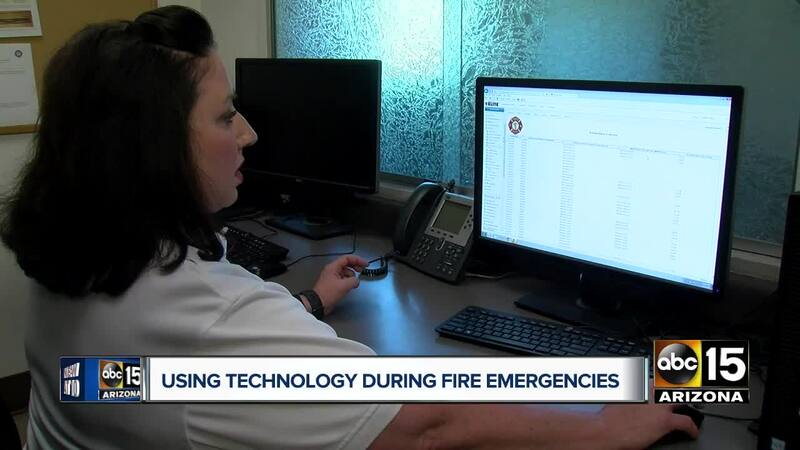 Now, more than ever, first responders are using those devices to collect a plethora of information, in real time, during an emergency. When Tempe firefighter and paramedic Nelson Goossens is not treating patients during a call, he is likely inputting information. A lot of it. "It definitely affects everything we do," said Goossens. "These are just some of the tabs that we have, that go on in real-time during the call." "Demographics, people's age, gender," said Tempe Interim Assistant Chief Andrea Glass. "We also added tabs in [for] whether they're an ASU student, whether they're homeless, whether they're a veteran." Those tabs barely scratch the surface. Glass says the department has been collecting and using this type of information for years, but not always like this. "We're being more proactive and progressive in how we're using the information to gear how we make our decisions within the community," said Glass. Decisions like where to focus the department's opioid-prevention education or how to address the recent rise in scooter injuries. The information that's been gathered even contributed to placing the city's new first station, set to open this summer, in the southeast part of town. "There's been plenty of change in my five years that I've spent here that have just come from data collection," said Goossens. Several other Valley departments, including Mesa, Chandler and Scottsdale, use similar methods to identify and track trends. So while they may differ on how they handle specific statistics, the overall goal is the same. "The biggest benefit is identifying ways we can be better," said Glass.